Toptal members and guests are welcome to cowork — or just stop in to say hello — April 26 between 11:00am and 8:00pm. It’s an ideal opportunity to strengthen connections with local professionals. 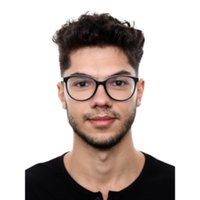 Your host is Cosmin Rusu, a Toptal developer and the Community Leader for Zürich. Watch out for a presentation by Toptal developer and project manager Robert Turrall who will be talking on the topic of ‘The Road from Mobile Developer to Product Manager’. Your message to Cosmin was sent.